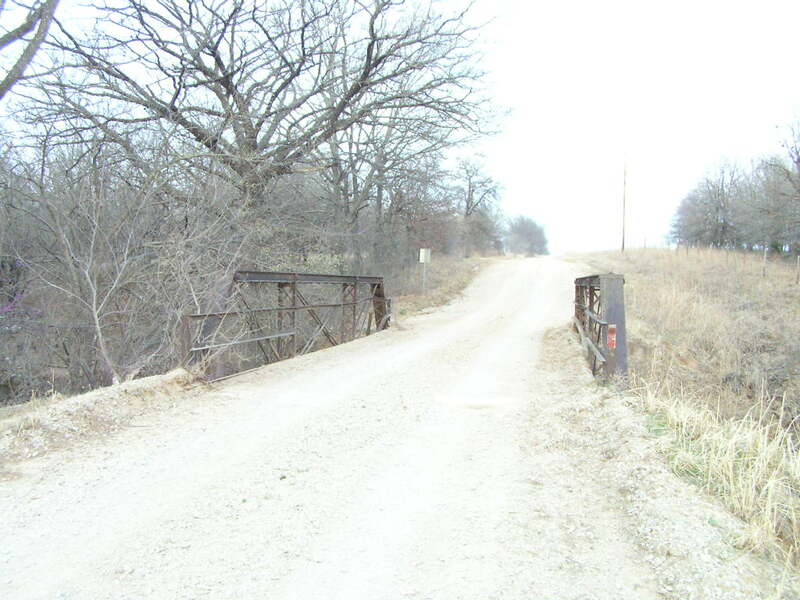 BedFord Creek Bridge, Pawnee Co. 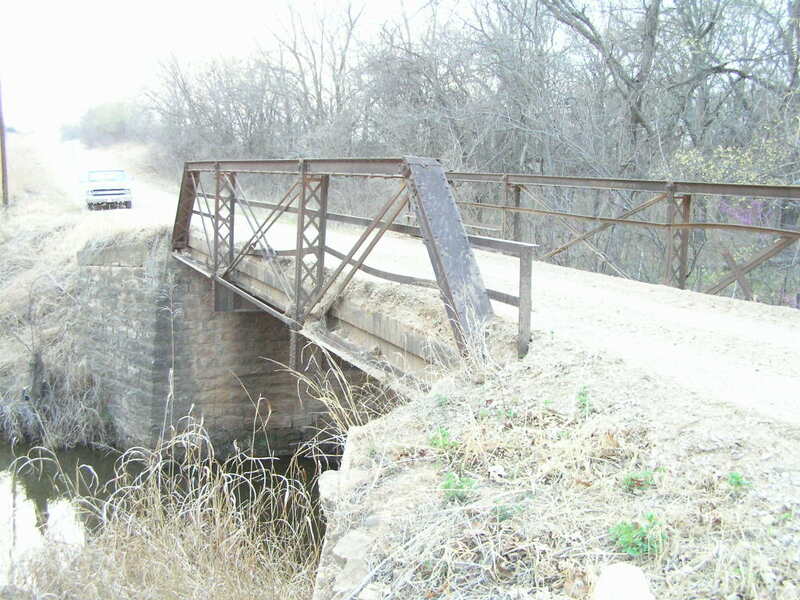 Built in 1929, this small 40-foot half-hip Pratt pony truss was constructed by the Canton Bridge Co., of Canton Ohio. 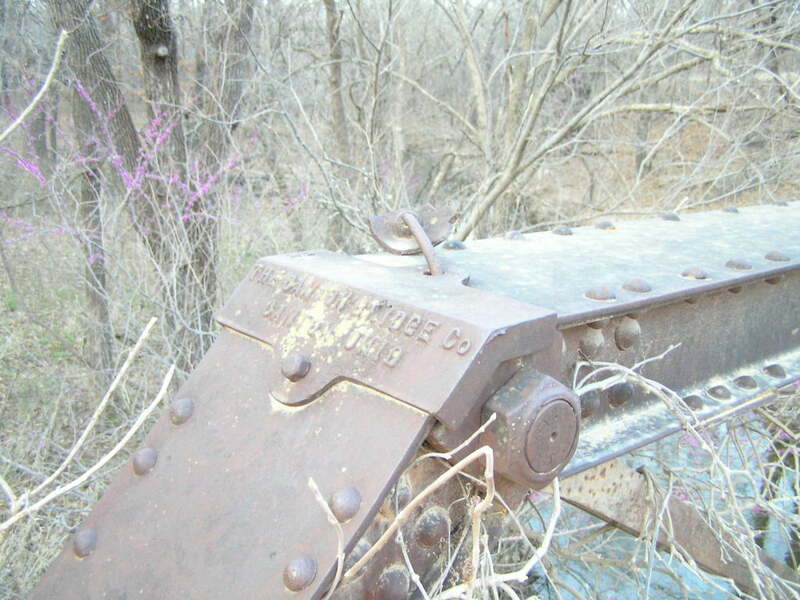 The late date, however, is likely when this bridge was moved here from another location. Above, an overview of the bridge. This span has a concrete deck, an unusual feature on a bridge such as this. Below, the broken remains of a cast-iron globe which once decorated the hip hangs from its bent bolt. The cast cover plate with their name is typical of Canton Bridge Co.'s bridges. Below, perhaps the most striking feature of this little bridge is the well-crafted stone abutments it sits on, as illustrated here.